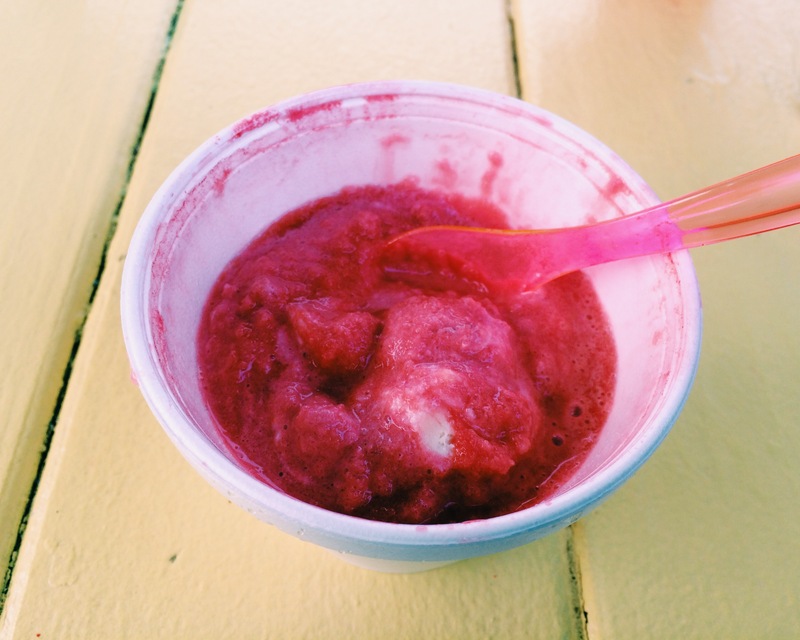 Paradise Ice (Real Hawaiian Ice) – Go There. Try That. 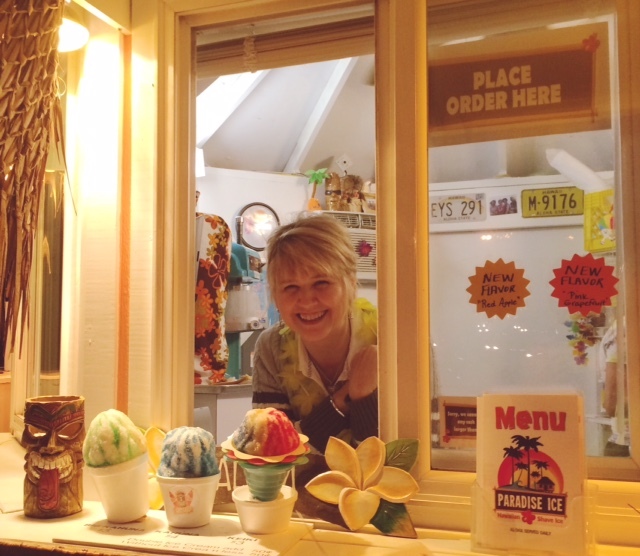 Paradise Ice has officially opened for the 2018 season and it’s as delicious as ever! If you did not read this post from last summer… if you have not been there yet…it’s amazing!! Hands down, this is our favorite summer treat! And if you haven’t been yet this season, there are a few new flavors on the menu. The post is just below! Enjoy! When I first heard about Paradise Ice from a friend from church (Thanks Molly), she sold it like a first class evangelist! 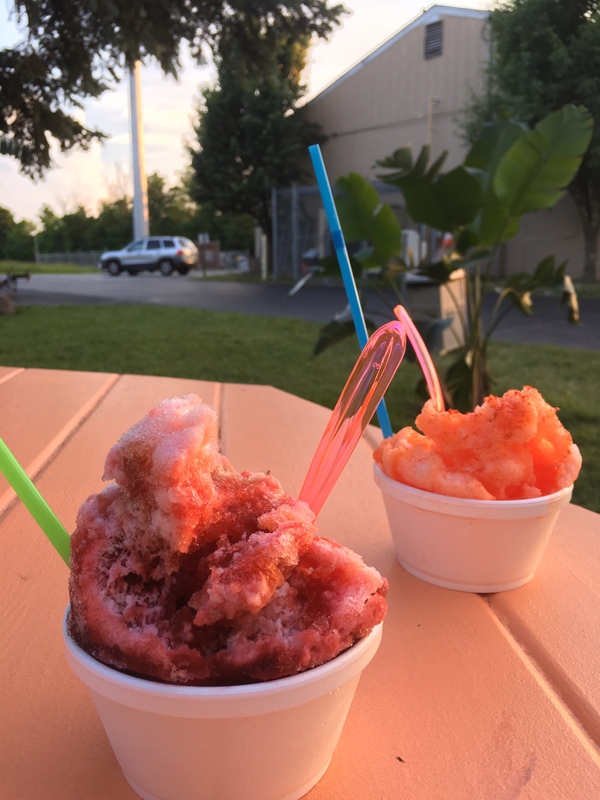 Even though it’s in Milford, a thirty-minute drive for us, we couldn’t wait to try this “authentic” Hawaiian ice experience. Trust me when I say every minute of that drive is worth it! This is absolutely one of our go-to summer places! This is the Hawaiian style, from bottom to top! No matter how weird it might sound, you have to order it the authentic way! 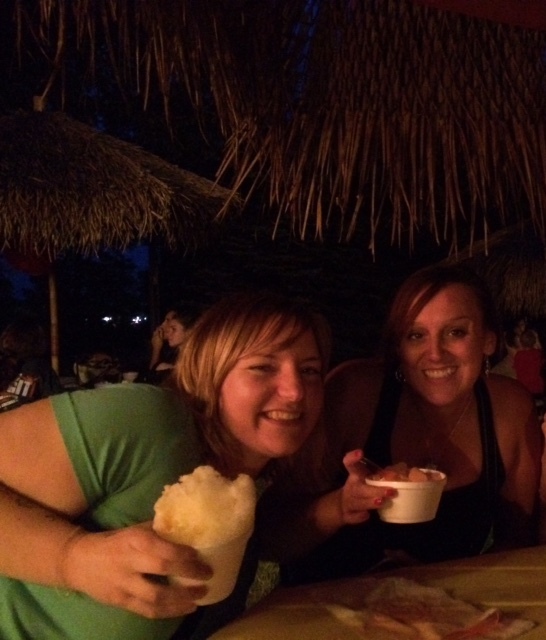 Best shaved ice ever! 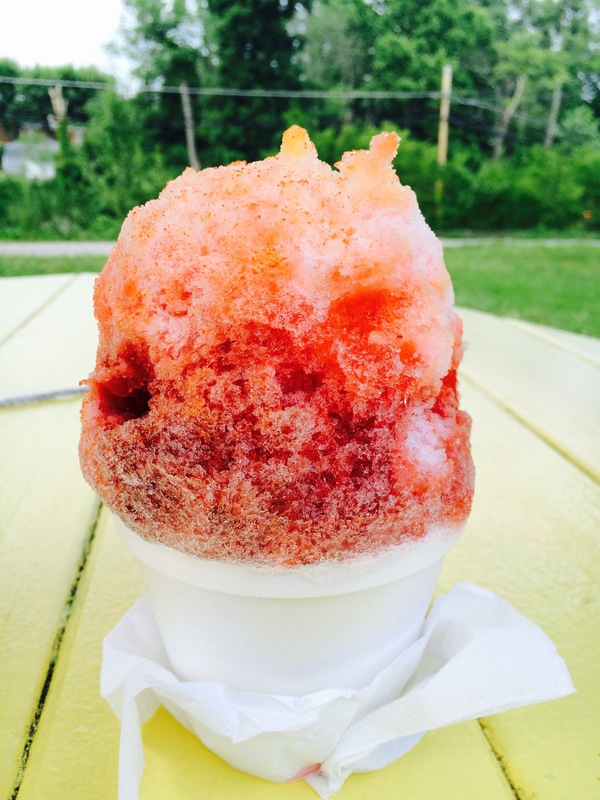 (Fun fact: the Hawaiian’s just say shave ice, not shaved ice). 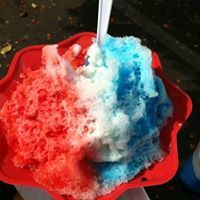 The hardest part about visiting Paradise Ice is picking from the close to 65 flavors (8-10 sugar-free) from the following categories: Hawaiian Islands flavors, Mainland flavors, Kids favorites, and Amazing combinations. 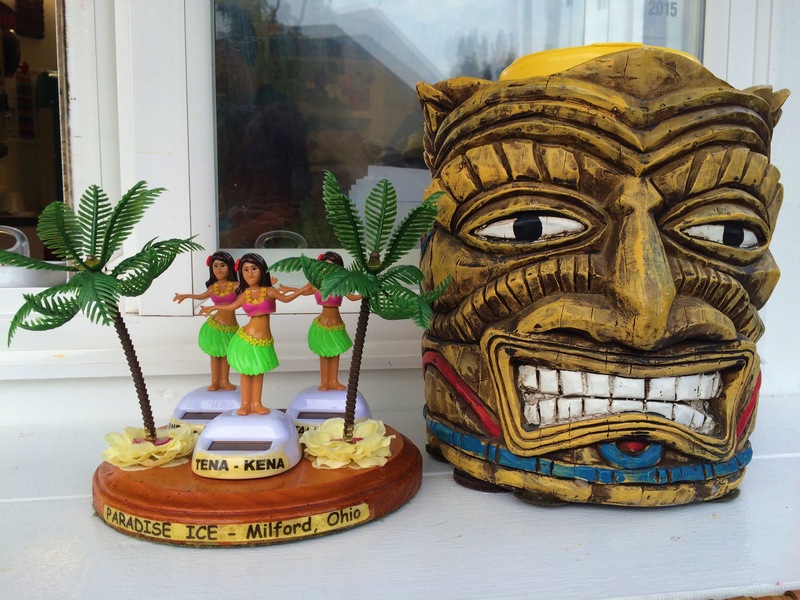 There are four sizes: the Mini (toddler, $1.75), Keiki (kids, $3.00), Kahuna ($4.00), and the Big Kahuna ($5.00). I’ve never actually ordered the Big Kahuna because the servings are SO big….but I totally get the Kahuna every time and even though it’s more than enough, I eat every last little bit! This is the medium! Yep, this is the size we normally order! This is the small (I’m taste testing my husband’s here)! Here’s another important reason to check out Paradise Ice (over and over and over again), the owners, Tena and Wayne, are seriously the nicest people and when it comes to business, they truly understand customer service. For example, if you aren’t sure about a flavor, just ask and you can sample it. And, if you need more snowcap, they will add more without charge. After her first trip to Hawaii as a teenager, Tena fell in love and was fortunate to return to Hawaii many years later. 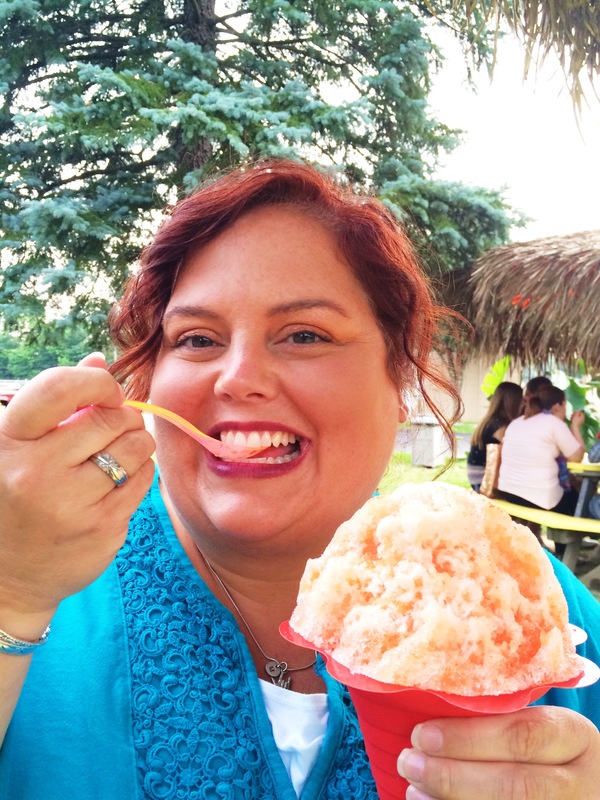 It was then that she discovered their authentic Hawaiian style shave ice and became obsessed with it; unfortunately, she couldn’t find anything like it here in Ohio. She found something similar in Florida and California, but nothing quite like it in our area. Thus, her dream was born! They will soon be expanding with a second, mobile station that can serve both as a second stand when they are super busy and travel to local events. This is great news. An evening visit with friends! The atmosphere at Paradise Ice is island fun. After stepping out of the car, I love being greeted by Hawaiian music, picnic tables with thatched roofs, and their tiki hut! If you want, you can get it to-go, but I recommend sitting at one of the tables and relaxing while you eat. First of all, I like the Hawaiian music, but mainly, this dreamy concoction is deliciously messy and I would not suggest eating this in the car. Afternoon or evening (open 1:30-9:30 pm), rain or shine, check them out soon! And tell them Mindy @gotheretrythat sent you! If you’ve been, and you have a favorite flavor, share it in the comments on both the blog and the facebook page! P.S.- If you’re feeling really wild and crazy, Holtman’s is only 8 minutes away; grab some donuts for the next day! GO THERE (Paradise Ice)! 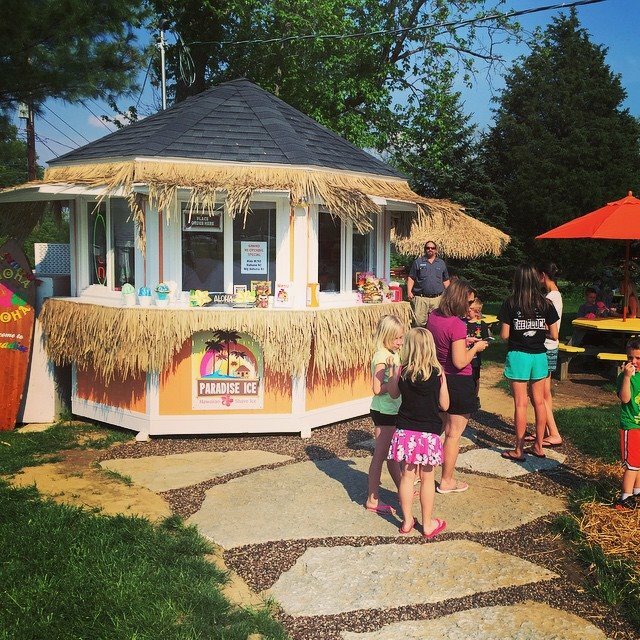 TRY THAT (Authentic shave ice with ice cream and a snow cap)! IGBY’s (downtown Cincy) + a Giveaway!